We started the day early still feeling the effects of the flights from the day before as I woke up around 5am local time. 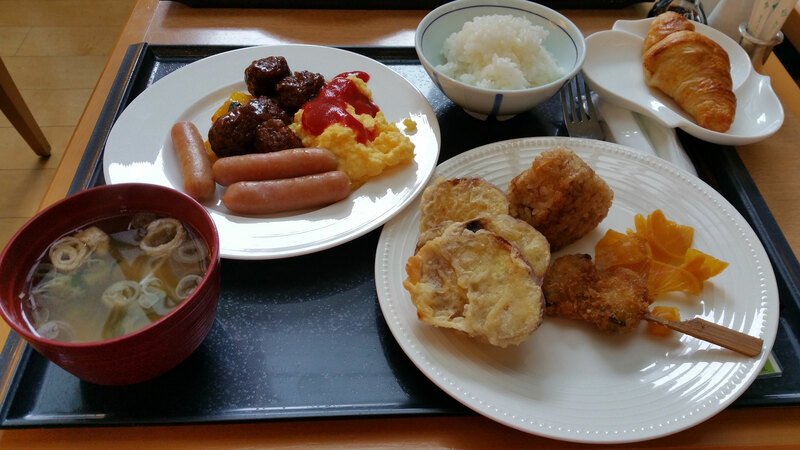 We headed down to get some breakfast at the hotel restaurant and were treated to an amazing breakfast buffet that had a mix of Western style breakfast items and staples of the Japanese traditional diet. After asking for the check, “O kaikei onegaishimasu” and finding that my Japanese is even worse that expected, we headed out to explore around the hotel area. 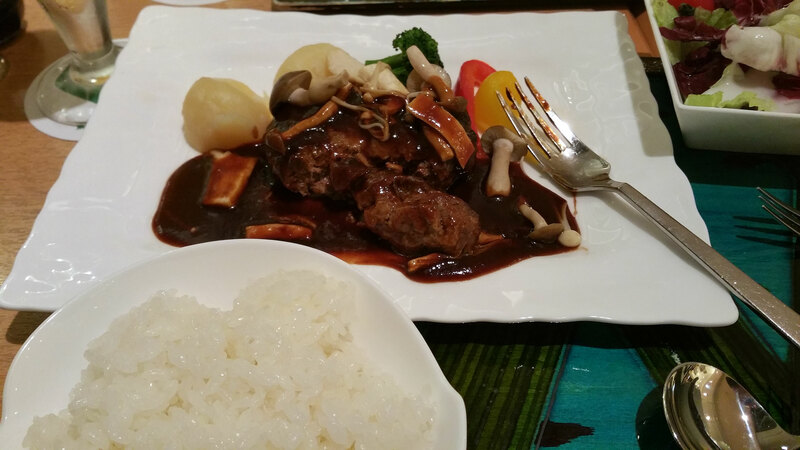 The hotel is located about a 20min walk from the Imperial Palace and the East Gardens of the Imperial Palace. 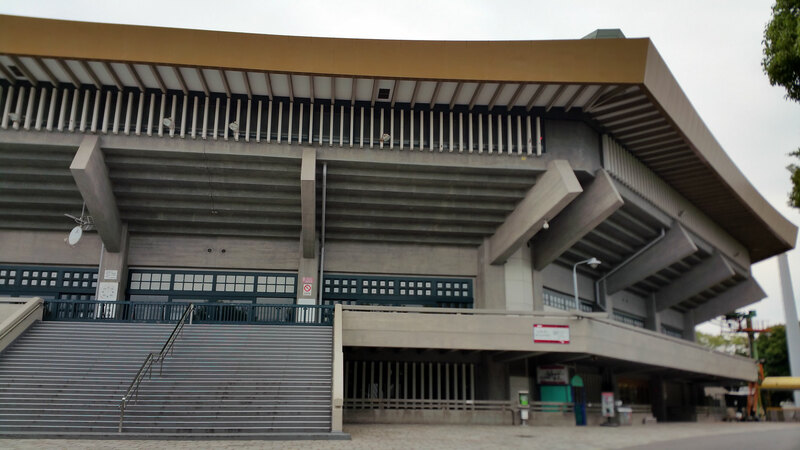 It is also very close to, Nippon Budokan, one of the reasons we came to Japan. This is the center for many famous Japanese martial arts competitions and the site of the 16th World Kendo Championship. That Sunday morning there was a local high school Judo competition at the Budokan. 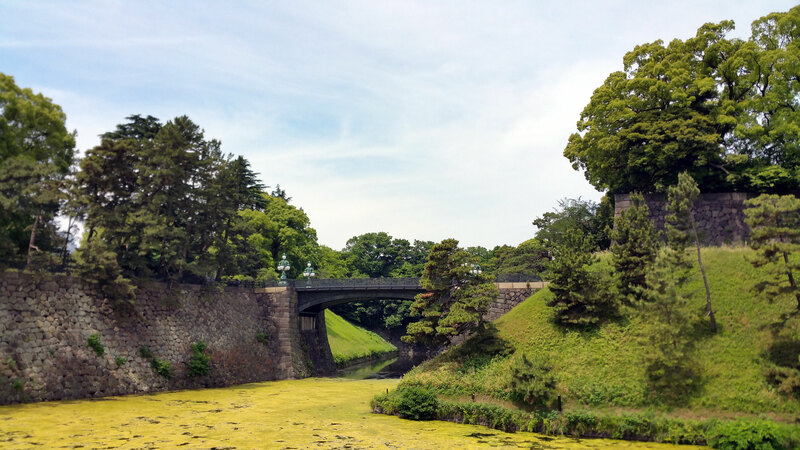 We decided to keep walking and finally made it to the Imperial Palace East Gardens. It seemed that we had the place to ourselves as it was about 9am local time. We walked through the gardens trying to locate the Imperial Palace and came upon the sounds of Kendo being practice in the distance. We came upon a building gated and surround by bushes with a Japanese police officer standing guard. 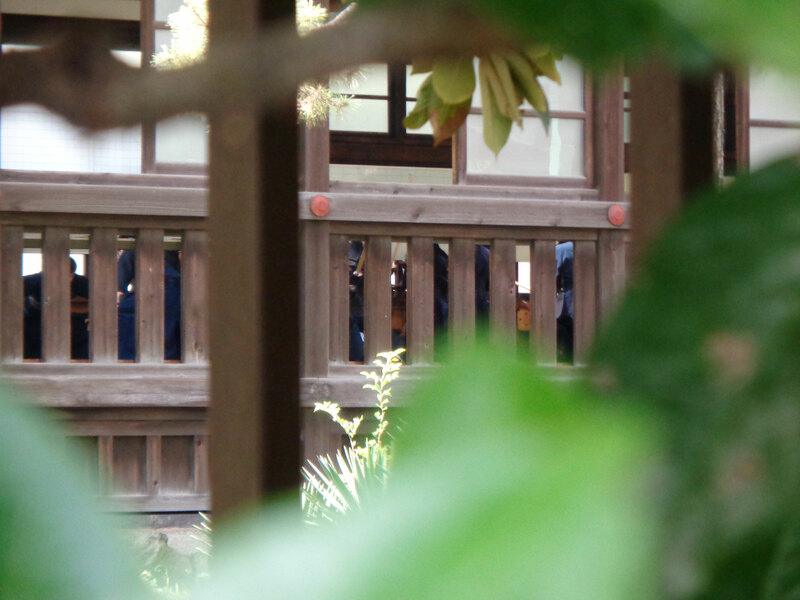 Peering through the bushes like little kids in a toy store, we found it was the Italian Kendo team practicing at the Imperial Palace dojo. We moved on and found our way to the street gate and in the heart of Tokyo. It also seemed we came upon a race that was taking place around the Imperial Palace as hundreds of people ran by us with numbers pinned to the front of their shirts. We walked a little further through the crowd of runners and finally came upon the Imperial Palace main gate. We took a few pictures and got as close as you can get without getting an invite from the emperor himself. We decided to explore the rest of the local area on foot and discovered that life in Japan on a Sunday morning is a relaxed one. The weather was great and the crows were screaming their calls to anyone that would hear them. Side note, so have to get those crow calls as my ring tone on my phone (https://youtu.be/lfGj9w3lYtg?t=4s). 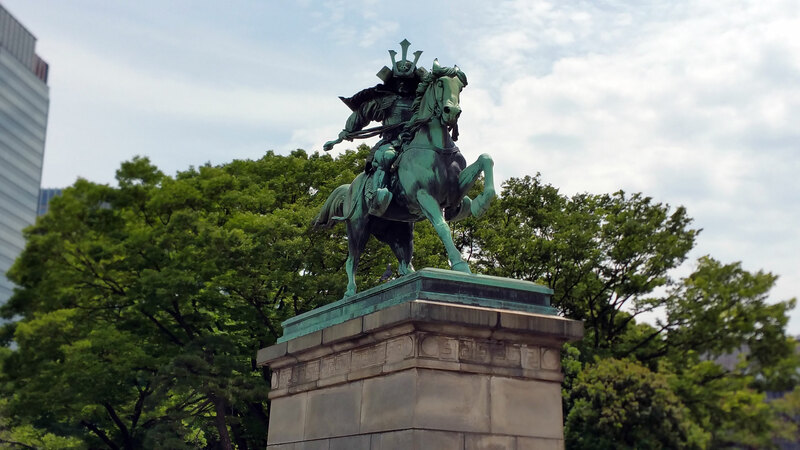 So after walking a few blocks from the Imperial Palace we came upon an amazing statue of Kusunoki Masashige and had to take a few pics. 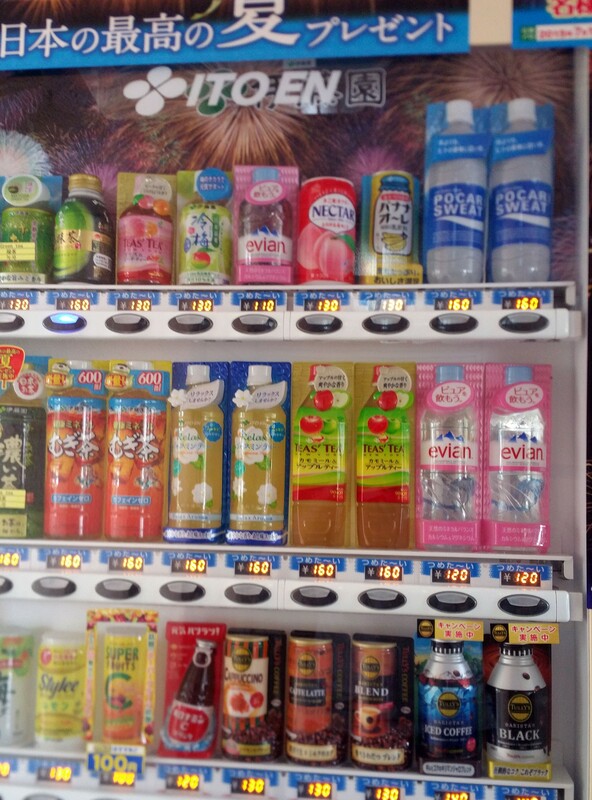 Btw, in Japan, vending machines are everywhere and most sell beer / liquor at any time of day. You can pretty much drink all day long at any time during the day. We kept exploring and decided to head over to the Sony Building that was near the Imperial Palace. This building was eight floors filled all of Sony’s newest and hottest gear. If I could fit a 4k 100 inch tv in my carry on, it would have gone with me. 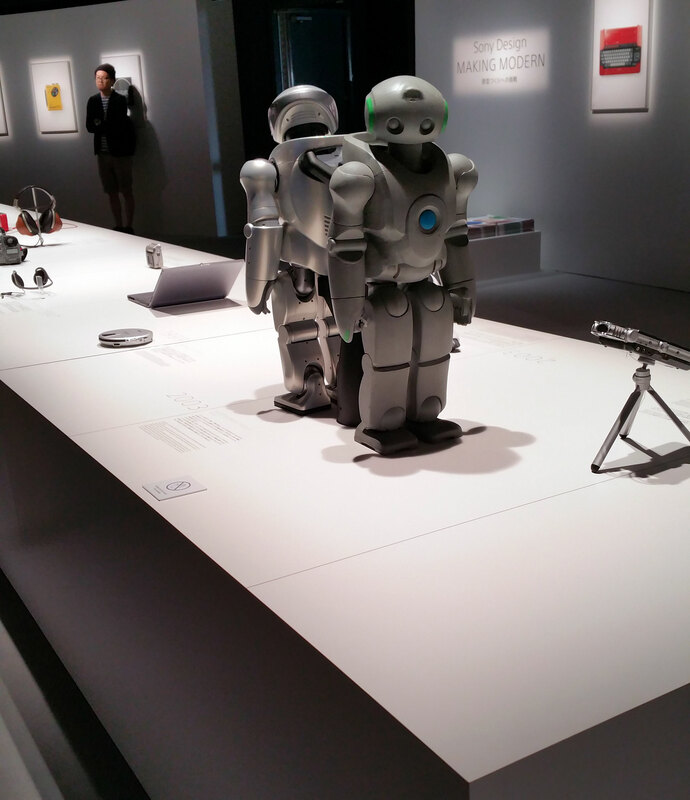 After checking out the history of Sony on the top floor, we headed to do some shopping around the area north of the building. On the way there we stopped for lunch and discovered a great place off one of the side streets. The food was amazing and I think I order grilled snake but it all tasted like chicken to me. After rolling out of the small restaurant, we kept walking and discovered a small festival with dancing in the streets. The local food vendors set up small tents and dressed in traditional dress. 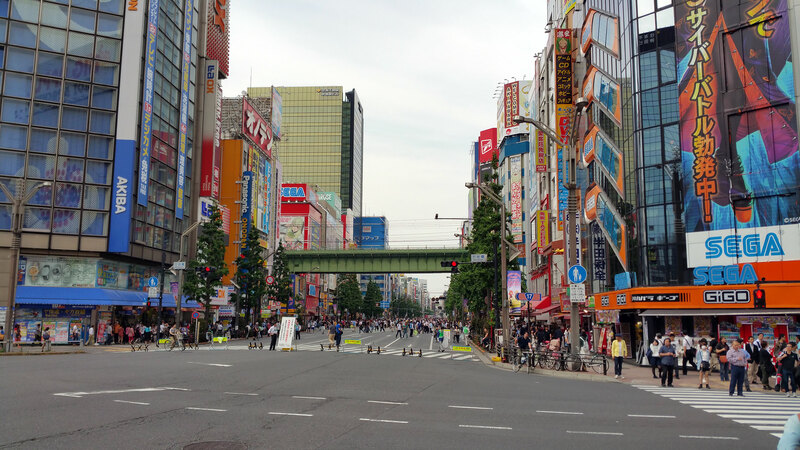 We made our way past the crowd and finally made it to Akihabara “Electric Town”. This place in the day time was crazy and filled with sights all over the place. This is a must for any fan of the Anime culture and life styles. We walked through the street and stopped in a few shops. 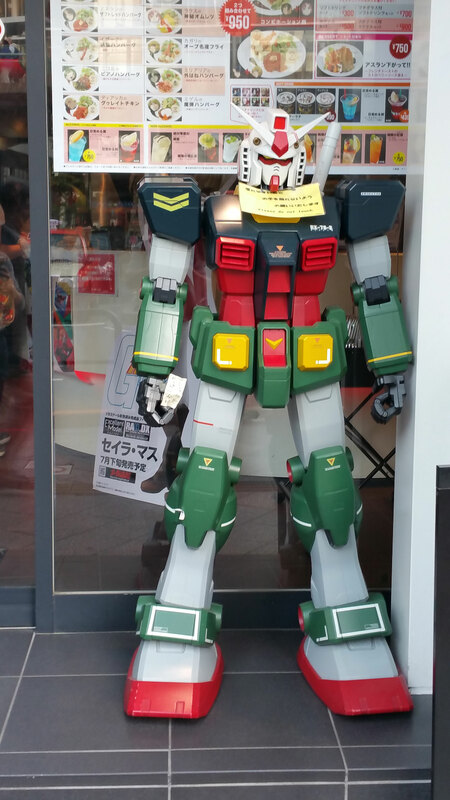 Shop vendors were dressed as random anime characters and were calling out for you to enter their stores. After about three hours of walking around and spending a few thousand yen, we decide to stop for a quick snack at one of the local Mcdonald’s. After filing up on the golden fries we began to head back to the hotel. We decided to give our feet a rest and finally take the train back to the hotel. 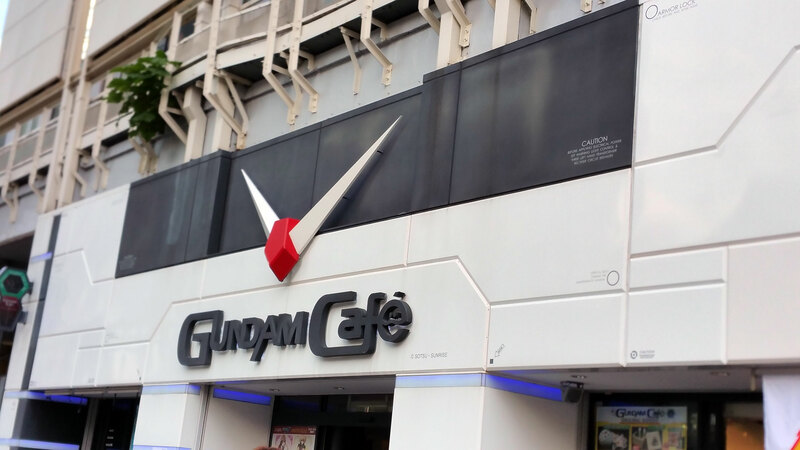 One the way to Akihabara station we saw the famous Gundam Cafe and a street performer trying to make it big with the help of some friends. Even for a Sunday afternoon the train was a little crowded. Once we made it to the station closest to the hotel we were treated to a rare sight. 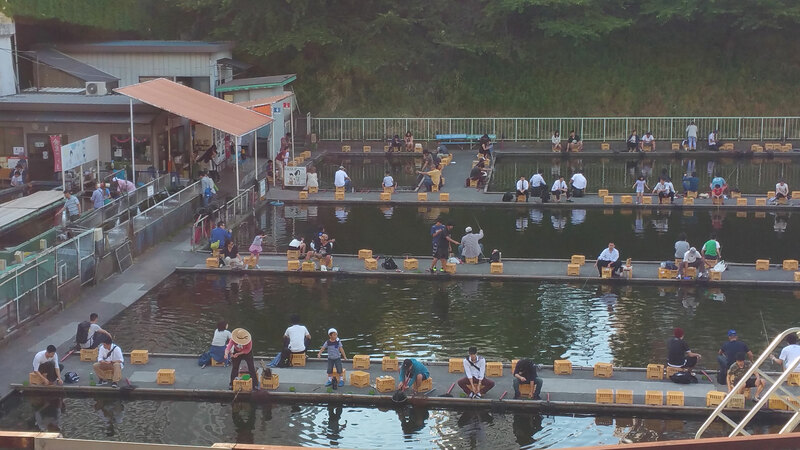 A fish farm that let people fish for their meal or for fun. Even in Japan fishing can be had in the big city of Tokyo. We decided to eat a quick dinner at the hotel and pass out in our room. The time change was kicking our butts and it was only 7pm local time.